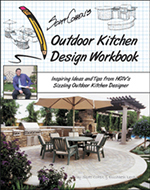 Scott Cohen is a nationally acclaimed garden artisan whose award-winning work is frequently featured on Home and Garden Television and in numerous national books and magazines. 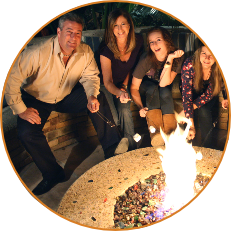 He’s known for his unique use of recycled materials, expert detailing, and innovative ceramic techniques to create stunning and functional outdoor environments, such as his own fire pit conversation area and Smore’s kitchen for his family. 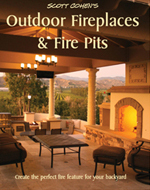 He is the author of 10 landscape design and construction books, including Scott Cohen’s Outdoor Fireplaces and Fire Pits. Build for the long term. Stainless steel gas rings substantially outlive the less expensive galvanized metal rings. Save yourself a callback and ensure a happier client. Cohen is president and supervising designer of The Green Scene, a premier outdoor design and construction firm based in Chatsworth, California. 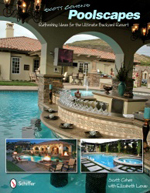 He provides consultations for clients nationwide and gives seminars on designing outdoor kitchens and rooms, cast concrete techniques, and other topics for swimming pool and landscape professionals. Call our office to schedule a consultation at (800) 675-5296.